The United Nations Climate Conference, or COP21, recently concluded with the adoption of an ambitious global agreement on climate change. Baykeeper was represented at the climate talks by Advisory Board Members Marc and Sheila Andrus; Sara Aminzadeh, director of our statewide coalition, California Coastkeeper Alliance; and fellow Waterkeepers from The Bahamas to China. Through our representatives, we joined the chorus of voices in Paris demanding climate action that led to this critical agreement. The Paris Agreement lays out a framework for collective action to move away from fossil fuels, but it is up to local advocates to ensure the transformation takes place. Baykeeper is working to reduce fossil fuel shipment in the Bay Area. We recently helped win a critical victory to prevent an increase in the shipment of crude oil in unsafe tank cars on tracks along the San Francisco Bay shoreline. Baykeeper is also opposing coal export from the Bay Area ports of Oakland and Vallejo, and working to prevent the expansion of Bay Area oil refineries. Sea level rise and other climate change impacts are already occurring here in the Bay Area. Photos we captured during the year’s highest tides show some Bay shoreline areas underwater. Baykeeper works to make the Bay Area more resilient to sea level rise by defending the wetlands, sand, and sediment that naturally protect shorelines from rising waters. Plus, our Shore View Project, coming in 2016, will be set of Street View-style maps of the San Francisco Bay shoreline, available to the public online. The maps will allow viewers to visualize threats to the ecosystem and infrastructure associated with sea level rise, industrialization, development, and habitat loss. Shore View will be an advocacy tool for better shoreline protections. 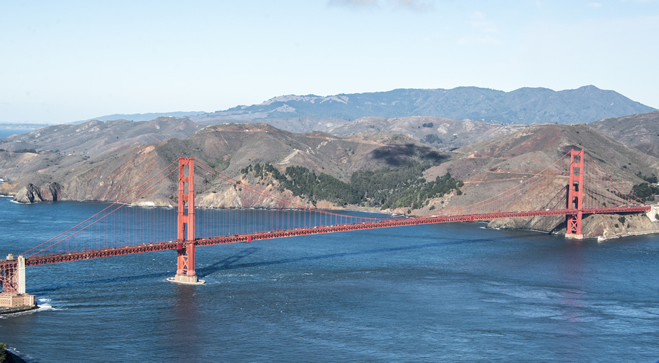 Baykeeper will continue our efforts to help move the Bay Area away from fossil fuels and to make San Francisco Bay more resilient to climate change. Photo by Robb Most. Thanks to LightHawk Conservation Flying.